Hello my Dolls. 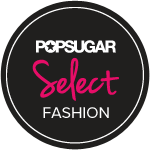 I have an exciting post for you loves today. 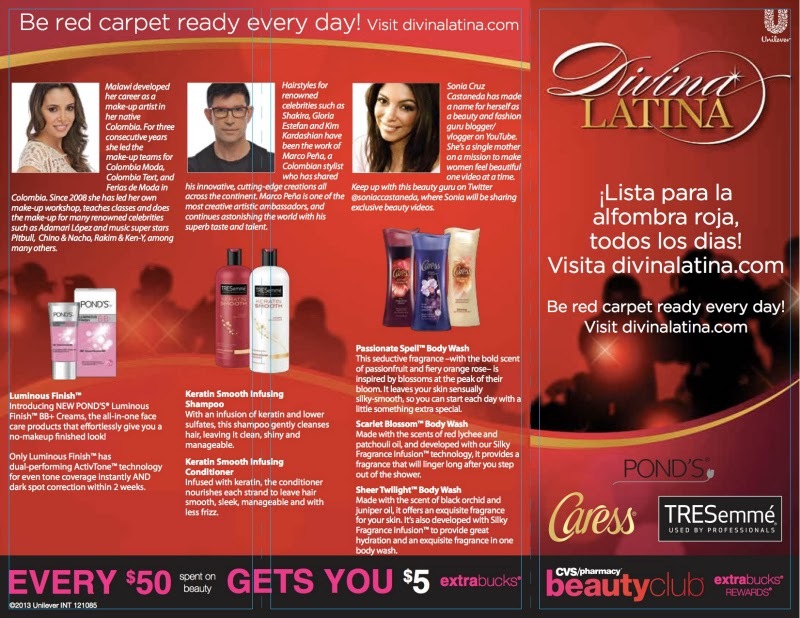 Latina Bloggers Connect, Unilever, and CVS pharmacy have teamed up with Tresemme, Pond's and Caress to bring us affordable ways to feel glamorous and look red carpet ready. One of my favorite things to do when I am getting ready is my makeup. I am a makeup addict and I love shopping at the drugstores to find affordable great quality products. When searching for a great foundation I try to find something that has SPF and will give me a flawless luminous look. For a luminous glow that will give me a everyday glam look I used the New Ponds Luminous Finish BB cream. It has an SPF of 15 and a hypoallergenic/non-comedogenic formula. Step 1: Make sure to moisturize your face before applying. I used my Cetaphil daily moisturizer. I applied the BB cream with my Real Techniques expert face brush. Review: It was at first a little light for my skin but after 15-20 minutes went by it oxidized to my skin color and gave me a nice light weight coverage. Step 2: To warm up my face and contour I used my MAC MSF in medium dark. Then for blush I wanted something that will give me a nice glow so I grabbed my MAC mineralize blush in Warm Soul. Step 3: For my eyes I used MAC e/s in Nylon/Saddle/Red Brick/Embark/Mulch and applied an eyeliner and some mascara to my top and bottom lashes. Step 4: To finish off the look I applied Maybelline Pink Please lipstick with Revlon Pango Peach lipgloss on top. And Now I am a #DivinaLatina who's red carpet ready :) I am actually a big fan of the Pond's BB cream product. I am surprised because I have never tried a BB cream before. If you are interested in checking out this product you can find it at your local CVS pharmacy. All Divina Latina products are available at CVS and (get this) available for Extra Bucks. So for every $50 spent on beauty products at CVS you get $5 Extra Bucks! Its like free money! Thats a great deal. I for one always go to either CVS or Target to get my drugstore products. But with a deal like this you can't pass it up. Hope you loves enjoyed this post. Let me know in the comment box if you have tried any of the Divina Latina beauty products?